A special blend of Ozark Hickorywood and Pacific Northwest Alderwood that adds a zesty, sensational flavor to ham, bacon and jerky. Try it on most cuts of pork or chicken that you may want to BBQ or grill! 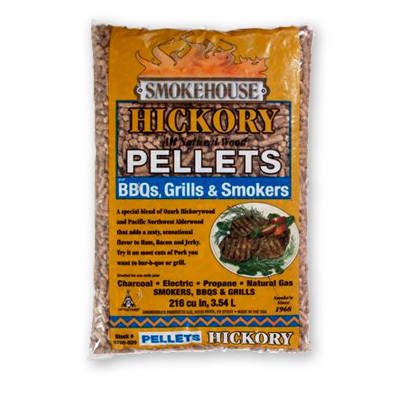 Created for use with your charcoal, electric, propane or natural gas smokers, BBQs and grills.